uni Chalk liquid chalk marker pens are made in Japan and have a 1.8mm - 2.5mm bullet nib. They are perfect for writing on non porous chalkboards, chalkboard labels, windows, metal, plastic, glass and any other non-porous surface. They are rain resistant so are suitable for indoors and outdoors use but can also be easily removed from non-porous surfaces using a damp cloth, for more stubborn marks you can use one of our chalkboard cleaners. 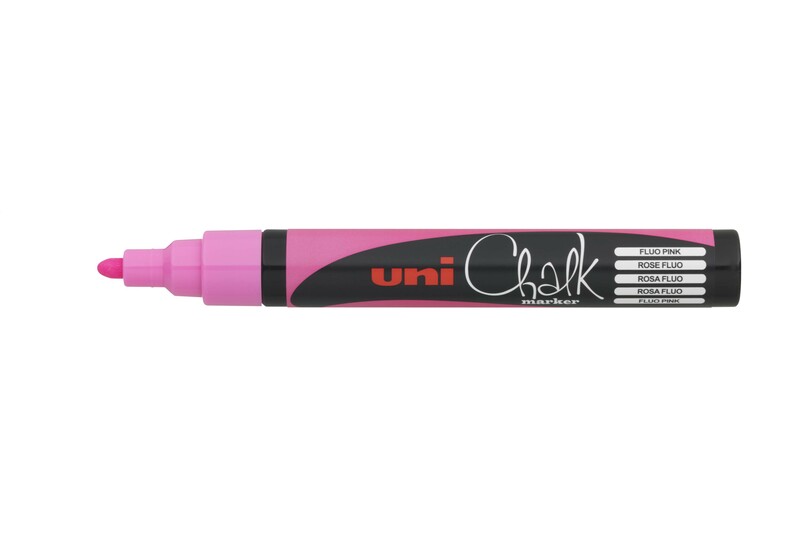 uni Chalk markers are available in a range of bright vibrant colours including White, Blue, Red, Violet, Fluorescent Orange, Fluorescent Green, Fluorescent Pink and Fluorescent Yellow.